Are you interested in a specific dog? REGAP does not adopt to families with children under the age of 5. REGAP requires that our adopted greyhounds have a fenced area. REGAP will not do a home visit until a fence is in place or at least under construction. At your request, a REGAP representative can assist with fencing questions or placement. If your yard is not currently fenced, when are you planning to do so? What type of fence do you have, or planned, and what is its approximate height? You can never put your greyhound on a tie-out or tether... it can literally break its back or neck! Walk routinely with a family member? Jog routinely with a family member? Go to your place of business with you? Be a playmate for your children or pets? Be a companion for your children? Please list two personal references that you have known for more than two years who are not relatives. Where have you heard about REGAP? (TV, radio, newspaper, adoption clinic, special event, another REGAP adoptee?) Please be as specific as possible - this information REALLY helps us! By submitting this application I agree to a scheduled home visit by a REGAP representative. Please contact KC REGAP if you have not heard back within one week in case there was a problem with your application submission. 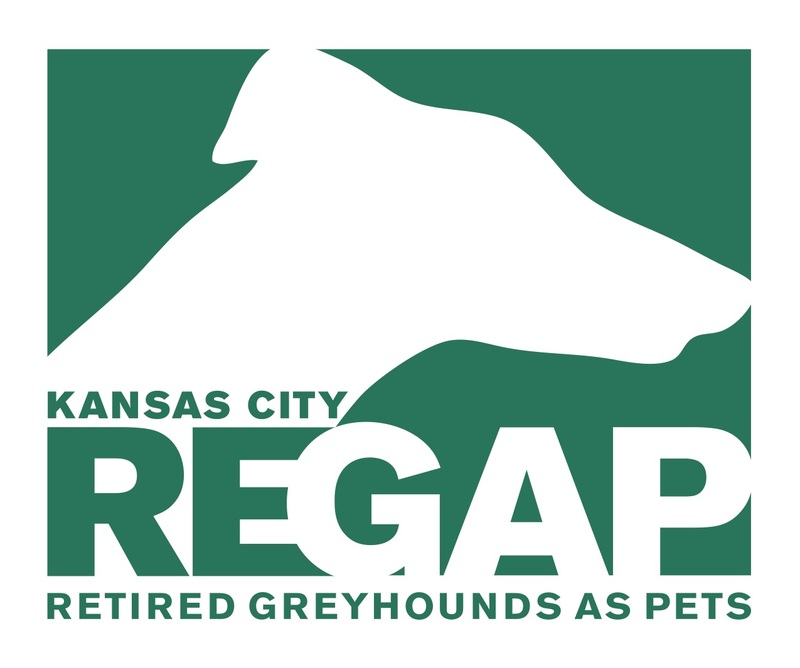 The average cost of just the spaying / neutering and dental (teeth cleaning) in the Kansas City area is at least $275, so the $225 (which also covers vaccinations) does not even cover the medical costs incurred by KCREGAP to prepare greyhounds for adoption. The adoption fee also includes muzzle, collar, harness and leash. Donations above the $225 for all our other greyhound advocacy efforts are always appreciated!